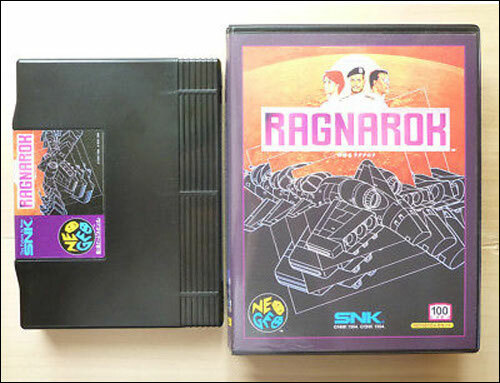 No, this thing is not a Nes game! 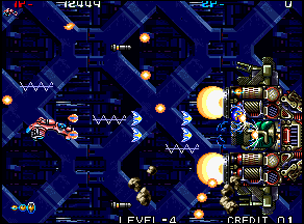 If a single Neo Geo shooter is unknown more than any other else, it's for sure Zedblade. Not only this NMK's title (the Namek planet?) was released for the MVS only, but it has not been very successful. 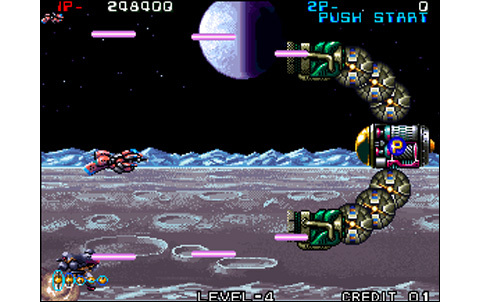 Side-scrolling shoot them up, Zedblade offers the player to embody one of the three heroes from the "Earth military aerospatial" (I hope that's clear). 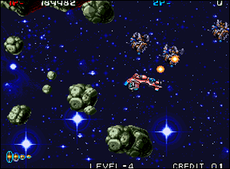 You are responsible for saving the Solar System from an alien attack that occupies it almost fully. 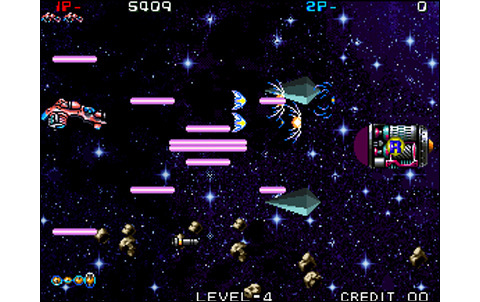 To do this, you'll need to push the enemy hordes out of the galaxy through the eight levels of the game. 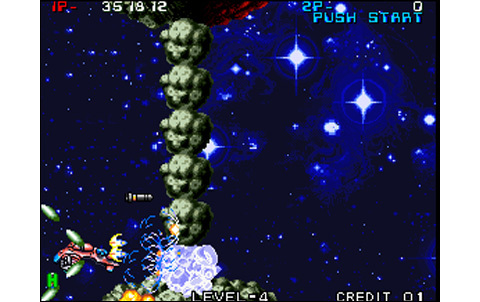 As soon as the first stage begins, we understand why we never heard about ZB. It's ugly! 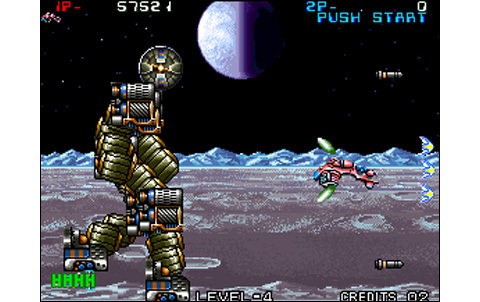 Using a 288x216 resolution (on a maximum of 320x224 available), and at first glance a 128 color mode, you can see that NMK didn't tried to reach top-notch graphics. But at that point, though... 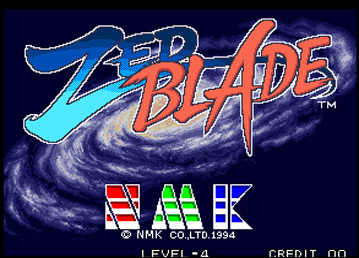 If you used to think Andro Dunos was kinda 'cheap' for a Neo Geo game, Zed Blade will make you change your mind for sure. I have to say it wihtout any pleasure: the design is poor, colors dull and few, details were purely and simply forgotten and inspiration flirts with absolute nothingness. 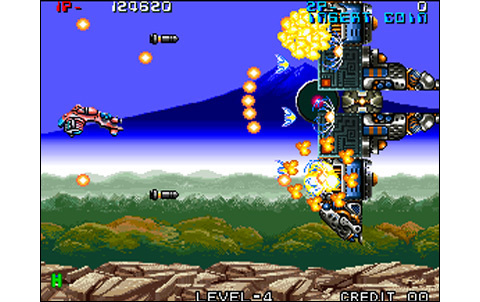 Zedblade just looks like one of the worse PC Engine shooters, while it's running on the Neo Geo, a 16-bit powerhouse! Once ignored the disgust of the first moments, it appears that the game's animation is not so bad, and despite some slowdowns, it's overall decently dynamic and fluid. Only the differential scrollings are sometimes awful and sloppy, and they don't fit at all with the backgrounds or into each other to give the 'supposedly' expected effect. Techno soundtrack will delight David Guetta fans and worry all other normal people. We hear things sounding like Ibiza Party Vol.18 or The Love Boat soundtrack - without any transition - which are good ideas to fit the apocalyptic atmosphere and the drama playing in the solar system. 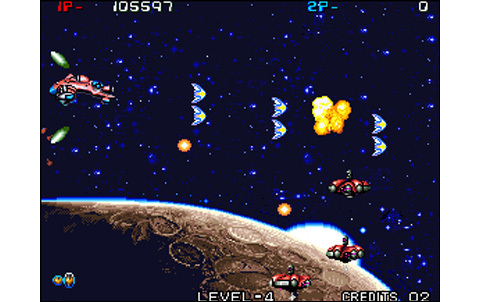 The three ships are too large in proportion with the screen, and it's not fabulous to skip enemy lasers and bombs, as the action's getting sometimes intense. 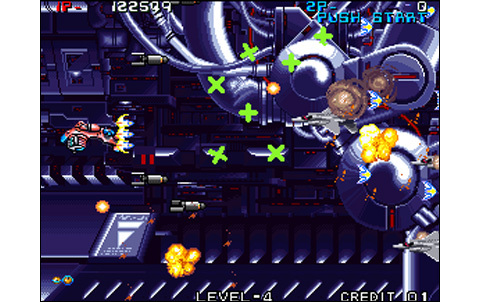 And yes, it must be said that Zedblade has something of a horizontal manic precursor, somehow! 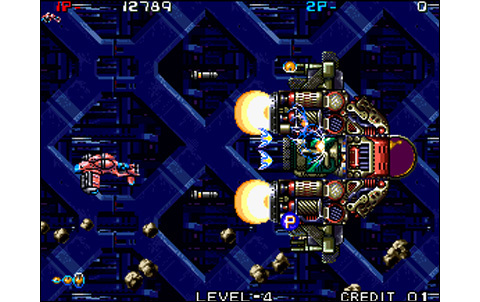 Despite their ridiculous proportions, the vessels have small hitboxes, are equiped with great firepower and move quite fast. The bombs have a limited destructive range, but we can stock a lot and it's also possible to refill your ammunitions during the stages. Relatively easy to handle and showing good action, ZB have us playing, although it's still hideous! 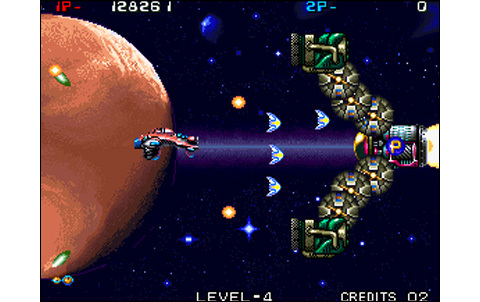 Life of the game is not exceptionnal, but it's making par: the eight stages are sometimes overly long, but not very varied, and their difficulty is increasing. 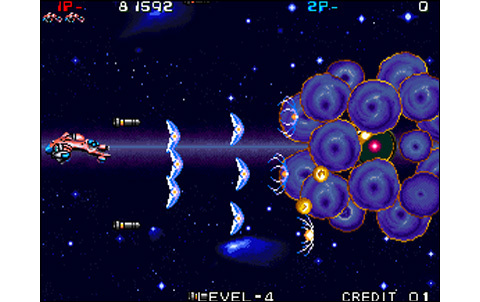 The enemy ships are reasonably numerous, although we often encounter the same ones from one stage to another. The Bosses, original at their best and completely ridiculous at their worst, they equally give hard times. 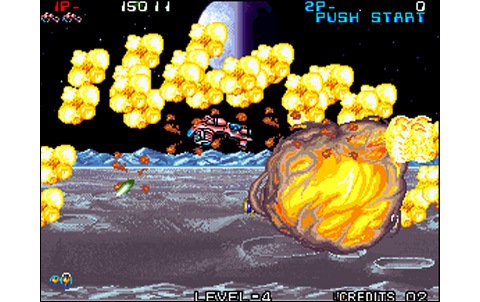 Finally, a bunch of spectacular enemies that can't be killed within twenty seconds are much appreciated! 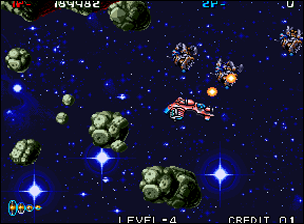 The game looks like a good 1CC challenge, quite doable with a little practice. If you are not running away from the miserable realisation right from the start, you'll be able to see that gameplay is good, and seasoned players have fun with this little Zedblade. Without entering into competition with the big names of the genre, it's still pretty decent. 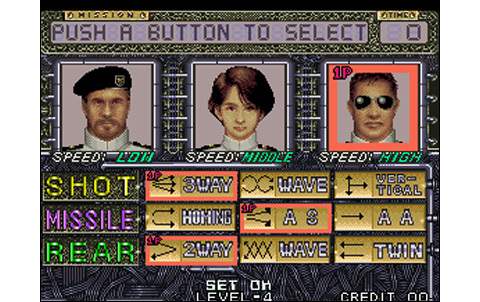 One notable originality, you can configure the three weapons of the ship with three options each, offering over eighty combinations for the three fighters available: not bad! 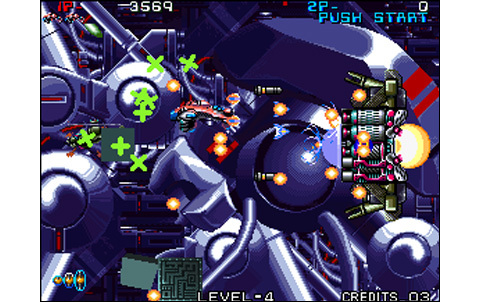 Zedblade is quite confusing at first, insulting our eyes and ears with its abject realization - it must be confessed - quite terrible for a Neo Geo, featuring annoying musics, too big ships and absolutely putrid graphics. But somehow, it deserves to be known. 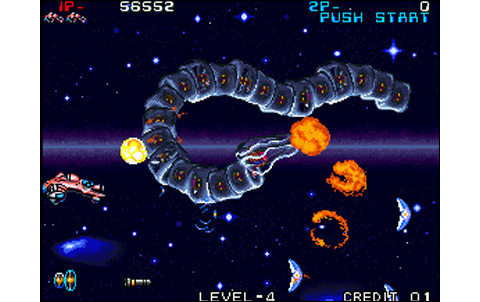 NMK's game show other qualities that can make the player forgive everything else: rhythm, intense action, combative Bosses, great animation... All these things that should ultimately attract every single shoot them up gamer, especially the one who loves 'exotic' titles! 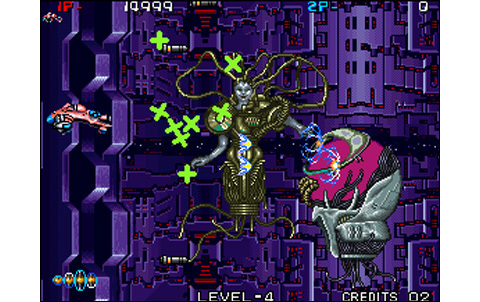 Zedblade wins the Neo Geo's ugliest Shmup award, hands down! Clearly the strong point of the realisation. Animation is fluid, decomposed and dynamic. 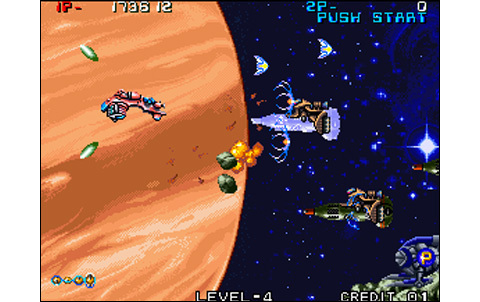 Slowdowns are few when playing solo, more present during cooperative play. The cheap differential scrollings don't look good, too. Simplistic effects, themes going from The Love Boat to 'Les Bronzés' with some 'Fast and Furious' tracks... It's totally desperating. 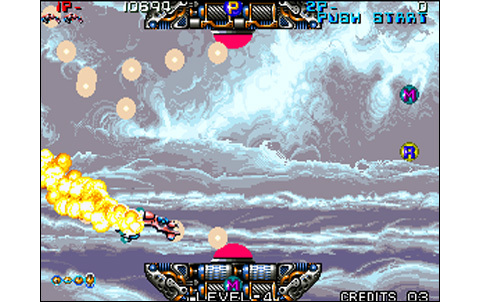 Eight long - but repetitive - stages, cleared within 30 minutes, a laborious 2P action... Nothing to be long-time remembered! 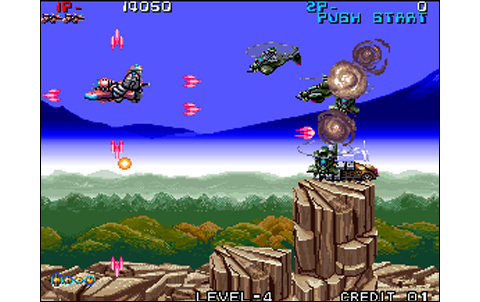 Three different heroes can be played, featuring a great range of different weapons; a classical power-up system, with intense action, becoming 'manic-style' during the last missions. Not bad at all! The mediocre realization is partially forgiven with the good gameplay and rythm of Zedblade.